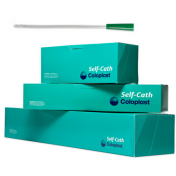 Coloplast Mentor Clear Advantage Silicone Self-Adhesive Male External Catheter with Aloe Vera is latex-free to improve breathability and risk of allergic reaction. 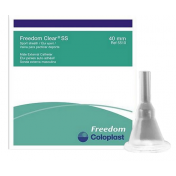 Freedom Clear Advantage Aloe Vera Condom Catheter is designed for maximum wear time, the clear silicone allows for visual inspection of skin.. 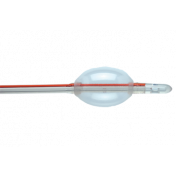 The Clear Advantage condom catheter is a premium latex-free silicone, self-adhering, one-piece catheter designed for maximum wear time. 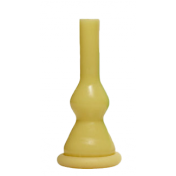 Features aloe in the adhesive and a kink-resistant nozzle designed to prevent urine backflow. 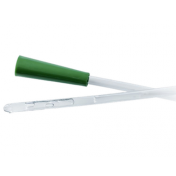 Do you have an safety data sheet for this product? We have contacted the manufacturer to see if a safety data sheet is available for this item. Please check back for updated information. 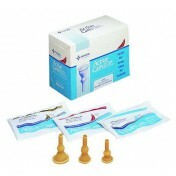 Tried virtually all the non-latex caths Vitality handles. This was average in that it did not stay on very well (creeps) nor did it come off very well - what was still stuck was really stuck. My standard condom cath review except Pop-ons. Since Coloplast took over Mentor, these caths DO NOT stay on as long as they used to. I believe it is because they may have added "Aloe" to the adhesive. Why can't they leave a good thing alone??? 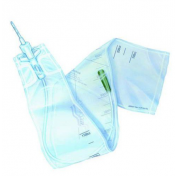 It is not a simple catheter as the others. 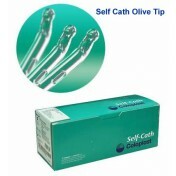 It is a special and hypoallergic product as it is free of latex. 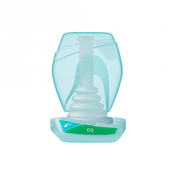 A key feature of this product is that it contains Aloe and prevents urine backflow. It is perfect to use it for long time. 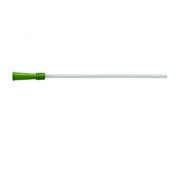 This external catheter allows me to get a good nights sleep. I love to wake up We each morning to a dry bed! Makes the day start out great!